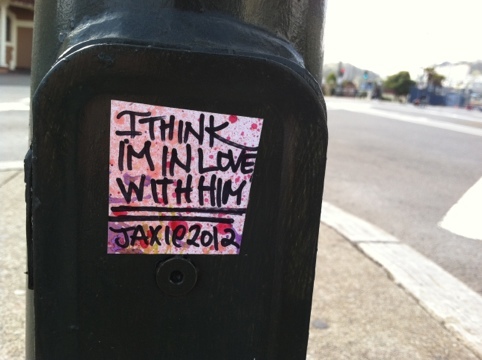 This one is on a traffic light post on Market Street in San Francisco near Church St. This entry was posted in GAY GAZE: Visual Culture, Photos, Art, Comics, Film, Objects, etc..., iPhone, Men, Photography, San Francisco, Signage, Street Art, Grafitti, etc. and tagged Graffiti, Love, Market Street, San Francisco. Bookmark the permalink.